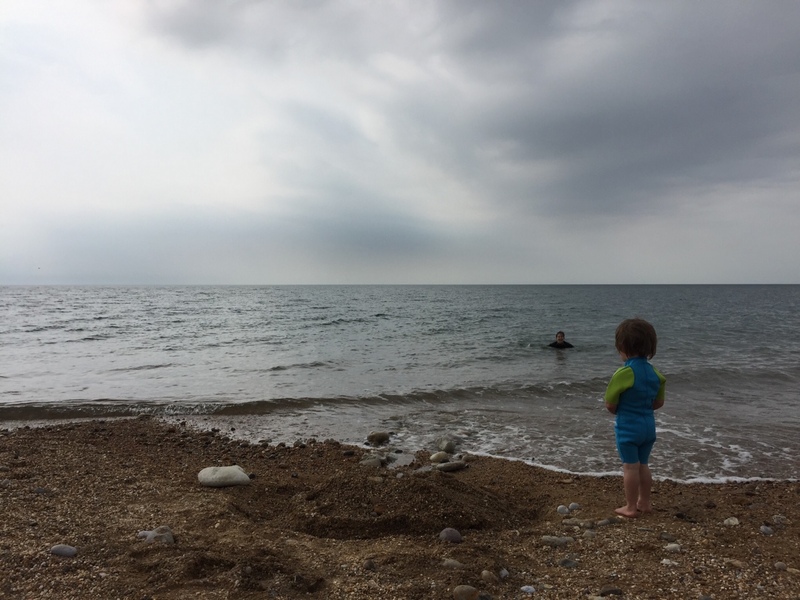 Holidaying with a toddler is a totally different ballgame to travelling with a newborn. Toddlers are constantly on the move, they want to explore, so holidaying with one requires a degree of planning even for those fly by the seat of the pants types. It doesn’t mean the end of adventure but it does mean the start of a new era of adventure. Your holiday time is precious perhaps now more than ever given the demands of raising a child so arm yourself with a few of these tips to ensure a (relatively) relaxing holiday. Unless you’re a teacher, don’t go on holiday (abroad that is) in July or August. Only subject yourself to the school holiday swindle once you have no choice (that’s the next 12 years or so after your child turns four). You can snap up some wonderful bargains in the shoulder season staying in relative luxury for a fraction of the school holiday prices, so make the most of it while you can. Also, if you want to visit the Med, May, June and September plus early October are all delightful times of year to relax in warm sunshine. Don’t underestimate how exhausting it is to travel with a toddler when the temperatures are scorching. 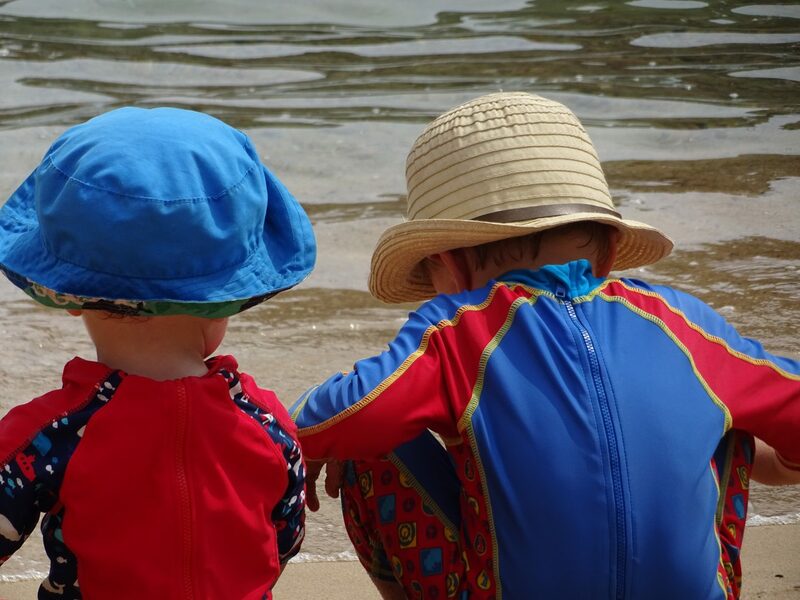 Although keeping young skin safe from the heat is easy to do with a bit of sun cream and a long sleeve swim suit, it’s hard work chasing after little people who still have tons of energy even when yours has been zapped by the heat. Call me old school, but I’ve yet to give in to the lure of tablets on flights. I also don’t use them in cars although I’ve been tempted plenty of times. No doubt If I relented my four year old would probably be happy to look at one for the duration of a flight but my younger son, aged two, is incapable of sitting still for more than five minutes, so long flights are not on my radar right now. There are plenty of warm destinations within around two hours of most UK airports making long haul travel an unnecessary option. Corsica, Sardinia and Mallorca are all good options if you don’t want to fly too far. As well as the flight duration, it’s also worth considering which destination allows you to pick a sensible timed departure. For example, we flew to Girona last summer for the Costa Brava departing at around 11am in each direction with Easyjet. However, charter flights to destinations such as the Greek Islands and Turkey often have antisocial departure times. It definitely pays to either book in advance to bag the well timed flights before they sell out or just choose a destination which has several flights per day allowing you to pick the one which suits you best. Toddlers like to be on the move so it makes sense to pick a type of holiday which works for both you and the whirling dervish you’re bringing with you. If you opt for a beach holiday, ideally choose somewhere with sand. When I was a travel agent, this was one of the top requests among parents in the know. Most young children can literally spend hours digging holes in the sand which means parents can take it in turns to keep watch / join in / read a book / snooze. While the Med has sandy beaches aplenty, the places to double check before booking are Croatia, Greece and Turkey which have more pebbly beaches than the likes of Spain, Portugal or France. If you want to inject a bit of culture into your time away, hitting the beach isn’t essential. Provided you stay in an apartment (more on this shortly), a city break can work well if it’s the right sort of city. Somewhere with plenty of parks or pedestrianized squares is ideal, Rome or Copenhagen are obvious examples. Otherwise, visit a city close to a beach such as Barcelona or Lisbon so you have both options covered. Alternatively, if you’d rather escape from crowds and tourists consider a rural stay in a country cottage or a farm. The local tourist office at your chosen location should be able to recommend short toddler-friendly country walks while old rural towns and villages often have pedestrianized sections where young children can explore under their own steam. The white washed towns of Andalusia in Spain and the medieval hilltop villages of Umbria in Italy are both perfect for a rural holiday. Hotel or self catering? For many, a holiday isn’t a holiday without letting someone else do the cooking and cleaning, particularly when you have a fussy and / or messy toddler. However, staying in a hotel means either sharing a room with your child which is tricky come bedtime or forking out for two rooms or a suite so that your little one can slumber while you enjoy a glass of grappa or whatever the local tipple is. You’ also tied to hotel restaurant opening times although some will offer early sittings for families. Some hotels have apartments or villas in their grounds which is a great compromise allowing you to choose how much cooking or eating out you’d prefer to do. If your budget doesn’t stretch to hotel stays, there are some great value small, basic apartment complexes in Greece which often have a shared pool and restaurant on site. Alternatively, consider staying at an agriturismo in Italy. These farm stays often have good value cottages or apartments which share a pool and spacious grounds for children to run around in. Some also have a restaurant on site offering (in my experience) particularly delicious, authentic and good value food. Should you prefer your own space and a private villa, consider a destination such as Croatia, Greece or Portugal where eating out is cheaper than other European destinations and can therefore be justified more frequently. If you’re not fazed by cooking on holiday, cottages and villas are my preference. Shopping in local markets, buying piles of cheese and salami and having a long lazy lunch while your toddler has a nap is my idea of a good holiday. And of course don’t forget camping, the ultimate in cheap accommodation where adjoining bedrooms are guaranteed even if a good night’s sleep is not….